THE READERS RAG: THE PERFECT GIRL: GILLY MACMILLAN HITS ANOTHER HOMERUN! THE PERFECT GIRL: GILLY MACMILLAN HITS ANOTHER HOMERUN! 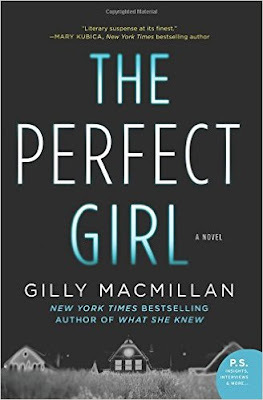 I decided to read "The Perfect Girl" by Gilly MacMillan because I hoped that if the author could transport me once into the land of pure reader delight, surely she could do it again, and was I right about that. As with "What She Knew" Ms MacMillan's debut novel, with "The Perfect Girl" I pretty much had to shut my door and lock it for the day until I had read the book which was 435 pages. Yes, this is my affirmation: you can read this book in a day or less because the content is so great it brings out the Evelyn Wood speed reader in you. 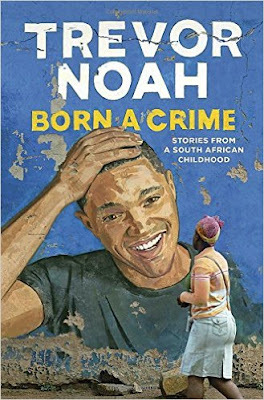 Before I move along to my overwhelmingly complimentary remarks regarding this book, let me just complain somewhat about the cover of this book. Come on, now, folks, do we have to have these books with large print titles stuck dominating the front cover, with essentially nothing else to alert us about the contents of the book? What a cliche! Plus, what's with the black background? What's the point? Seriously, whoever is in the cover design department needs to work harder for Ms. MacMillan. With her talent and professionalism, she deserves better. I will say that the title of this book "The Perfect Girl" is much more tantalizing than MacMillan's first book title "What She Knew" although I do think that what people know and what they do not know remains a primary theme for this author. She also names a movie script that interlaces the interior of the novel "What He Knew." So we aren't going to get away with avoiding questions in regard to the known and the unknown throughout this novel. This appears to be a favorite subject matter with Gilly MacMillan. She provides us with a group of characters who appear one way on the surface, but as you begin to dig down below the surface of who they are, we find multiple layers of being, different sides to their personalities that deepen and intensify our understanding of them. What is true, what is not true--we are left to figure that out. Quite simply, it is the story of Zoe Maisey, a 17 year old concert pianist whose life has been destroyed by a terrible mistake. She was the driver in a drunk driving accident that took the lives of three of her schoolmates. After a stint in jail, she has rejoined her mother who has now remarried a wealthy inventor and who demands that Zoe keep her past a secret. As the novel opens, Zoe and her stepbrother, Lucas, are playing a piano duet together. By the end of the evening, Zoe's mother ends up dead. As the police gather at the scene of the crime and Zoe recounts her past history and Lucas joins in to speak of his, we begin to dig into the secrets that hide behind the facade of this newly created family. The novel "The Perfect Girl" particularly speaks to me since I grew up in a family with high expectations of academic and personal achievement, literally to the point that it didn't matter if you were a person of good character with a reasonable understanding of right and wrong as long as you were successful. Parents who push children to these extremes and demand success at any cost, i.e. perfection, often end up either with monsters or monstrous situations. I also find it interesting how Gilly MacMillan addresses the issue of how a young genius can be so visionary in terms of her own particular talent, and yes, have the kind of incredible focus, self control, and maturity that arises from early commitment to a particular skill, while at the same time be incredibly naive about even the most simple social cues. The result is a person with immense capabilities, but hobbled by a fatal flaw. Another major theme of this novel has to do with the issue of what scholar Irving Goffman referred to as spoiled identity in his book "Stigma". Once you have have become socially marginalized because of a mental illness or a criminal past, is it possible to be rehabilitated? My personal experience is that, for the better part, rehabilitation isn't possible because mainstream society lacks the capacity to accept or interact with people who have slipped outside of the realms of respectability. Tellingly, according to Gilly MacMillan, the young lady whose true story inspired the book was herself unable to recover from the devastating incident that wrecked her life. Yes, there are the unique individuals who are able to rise above their spoiled identities and achieve success, often by virtue of accepting the role of representative "saved person" which isn't quite the same as a full restoration to society. However, for the better part, once you lose your credibility in the community, that's the end of any chance you might have had to be a part of society. In this regard, I found the confrontation at the end between Zoe and her therapist, Jason, incredibly powerful. Jason precipitates an interaction with Zoe because he wants her to understand that, as a former convict, she is going to be infinitely more vulnerable to abuse and exploitation than the average person. After the incident, Zoe comments, "I already knew that life was unfair, and that structures society puts in place to protect you don't always work, but what Jason taught me there and then is that what happened to me had marked me permanently, turned me into somebody who could be pushed and pulled around, like a toy for other people to play with, somebody without a voice and without the right to a normal life." As a person who has experienced just this kind of exploitation, I totally relate to that insight to the point where I had to close the book and spend some time crying and mourning the truth of it. I was like, "How did she know? How was she able to discover this?" I was amazed by Gilly MacMillan's ability to walk so easily into what I assume is foreign territory for her. Once you get, of course, that the rules don't apply to you the way they do to other people, the door opens up to acting outside of and beyond the rules. This insight has a profound impact on Zoe and on the outcome of the book. I will leave you with that thought! I don't have much more to say here. One point I do want to make is that the book has a bit of a Jodi Picoult feel because it bounces back and forth between the perspectives of the various characters in the book. It does go beyond Jodi Picoult in that the narrative doesn't lend itself to the easy moral conclusions that Picoult tends to arrive at. The end of the book includes an interesting discussion of Gilly MacMillan's inspiration for the book to which I've partially alluded earlier in this review. Further, Ms. MacMillan provides another good reading list of ten books which also provided the intellectual underpinnings of "The Perfect Girl." Overall, another great book, an absorbing read, and a promising beginning from this new author.